The world today is characterized by an exponential growth in world population, industrialization, pollution, food production and depletion of our natural resources. If this trend continues unchanged, there is almost a unanimous consensus that the limits to growth on this planet will be reached sometime within the next one hundred years. The most probable result will be a rather a sudden and uncontrollable decline in both, population and industrial capacity. However, this doomsday scenario will materialize only if our present way of doing things will not change. Since there are ample evidence of mankind’s ingenuity and social flexibility, we can safely assume that it is possible to alter these growth trends and to establish a condition of ecological and economic stability that is sustainable far into the future. The introduction of new technologies hold the promise to raise the limits to growth. The challenge is enormous because the globalization process has introduced industrial agriculture, which many consider as a major factor that is responsible for devastating our land, water and air, which may lthreatens the sustainability of our biosphere. One of the characteristics of the present agriculture of the developed countries almost worldwide is the conversion from agrarian, local, fully integrated food systems to industrialized, monocultured agricultural production. While the roots of the industrial takeover can be discussed and evaluated, there is a wide consensus that this process has brought a number of negative effects. It manifests itself, among others, in contaminated soils and ground waters, polluted air, food-borne illness, toxic chemicals in foods, animal feed and fiber and myriad other environmental problems that effect, not only quality, but more important, food safety. Moreover, the industrialized food production has created a distance between the consumer and food production, resulting in consumers lining up in supermarkets and array of slickly food products about which they know very little. At the same time, consumers are becoming more involved in food marketing systems, demanding levels of safety assurance, purity and authenticity and even information on production or environmental practices. Food safety is only one of the factors (albeit a major one) that is associated with current agriculture. Sustainability is another factor that requires our attention. In the past 50 years the drive toward agricultural self-sufficiency has been propelled by advances in management practices that have relied upon the extensive clearance, drainage or irrigation of marginal land, coupled with the intensive use of synthetic pesticides and fertilizers. While the use of such management strategies have enabled crops to be grown on land where they might otherwise have failed, the conscription of such marginal land carries with it an environmental price. Chemical fertilizers have displaced farming systems that rely upon the ‘natural’ accumulation of soil nutrients through the activity of beneficial soil micro flora and micro fauna, while also having a tendency to increase soil acidity. Deep well irrigation systems have brought water to arid crop lands but at the cost of increasing soil salinity. Plant breeding systems have produced cultivars that are highly productive but increasingly dependent upon the supporting role of agrichemical applications and management systems that decrease biodiversity. Perhaps even more troubling, marginal lands are generally less resilient, so proportionately less able to accommodate the demands of intensive production systems. As the structural integrity and associated biological processes that maintain agricultural soil quality become compromised, the productive capacity of these soils decreases and an increased risk of soil erosion can occur. One striking example of land degradation, caused by human activity, is desertification – a consequence of the over cultivation, overgrazing and overuse of water. There is also a growing concern that our increasing reliance on intensive farming systems is having an adverse effect on human health. Agrichemical over usage and the agricultural wastes, that are the by-products of our industrial agriculture systems, are finding their way into our atmosphere, waterways and ground water. The discovery of persistent synthetic compound residues in human tissues has revived fears that one consequence of chronic chemical pesticide exposure is a heightened risk of developing a variety of cancers, and or nervous system disorders. Similarly, the concern has been voiced that the use of antibiotics in food animals may select for bacteria resistant to antibiotics used in human health; the fear being that these antibiotic resistant microbes could spread via food to humans so causing human infection. Whether or not these dangers are real is still a question of much heated debate, though it is clear that the low dosages of pesticides and antibiotics used in crop protection and growth promotion remain an unquantified hazard. What is clear is that energy- and resource-intensive food production methods based upon the exploitation of non-renewable energy reserves, heavy machinery, agrichemical intervention and assorted intensive production practices are unsustainable, not least because the land resource upon which the entire system is founded is being degraded incrementally. When coupled with a rising global population and increased per capita consumption, it soon becomes apparent that the ability of the planet to produce enough food and fibre is fast approaching its limits. Such concerns have prompted the search for ways to minimize or replace the use of unsustainable and wasteful production strategies. However, it remains uncertain whether the demand to feed an ever increasing global population can be met solely by intensifying sustainable organic approaches to food production. Novel solutions vested in the developing science of agricultural biotechnology offer the potential of viable and complementary alternatives to conventional farm practices. By integrating beneficial traits directly into crop plants it is already possible to improve disease and drought resistance, promote stress tolerance, and in some instances, achieve superior agricultural productivity and efficiency. Improvements in food quality and handling characteristics can also be introduced using this technology, including such features as superior nutrient content, and increased post-harvest storage and transportation life. 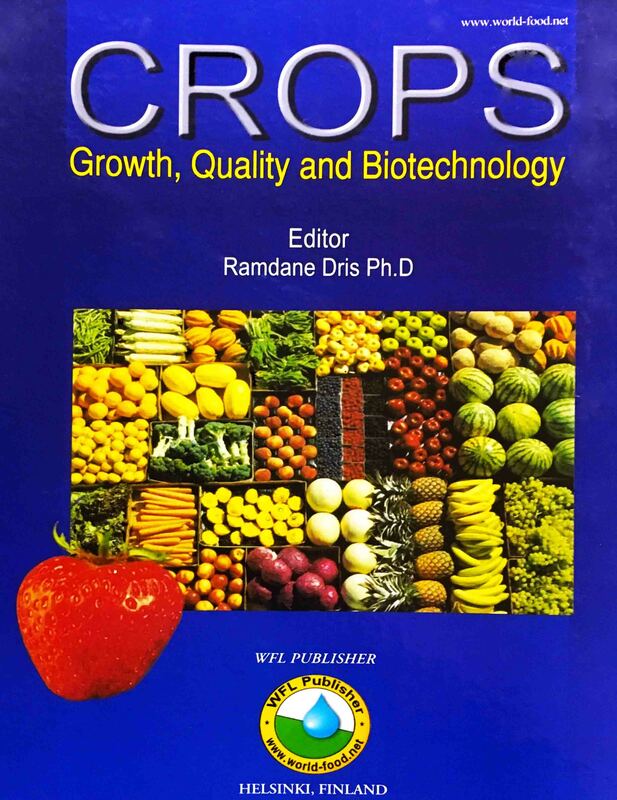 More importantly, the application of biotechnology and related technologies has the potential to broaden the scope of crop production beyond conventional food markets. Biotech-based processing technologies, it is hoped, will lead to the development and conversion of crop-based substrates into non-food value-added products. These could include, among others, novel proteins and compounds, market competitive bio-based fuels (e.g., ethanol) and assorted materials (e.g., plastics). The expectation is that these crop development technologies will create new horizons for crop improvement and product development. In this vision of the farming future, scientific research and technology development will create technology/information driven value-added products that will lead to the development of new business systems capable of value creation and value capture at the farm gate. Even so, innovative marketing and branding strategies will still be required to demonstrate the benefits of such technologydriven differentiated product value. For while the change from traditional commodity to value-added production systems will arrive sooner than later, it is unclear what impacts such innovations will have on the farming community – similar hopes for new farm technologies not having materialized in the past. Certainly it appears that agriculture has much to gain by borrowing advances from biotechnology. However, it remains to be seen whether such a radical departure from the accepted norms of conventional farming practice – whatever their environmental impacts – is acceptable to producer and consumer alike. The hard copy is available (the amount is limited) and the soft copy will be available very soon. For further information contact us.